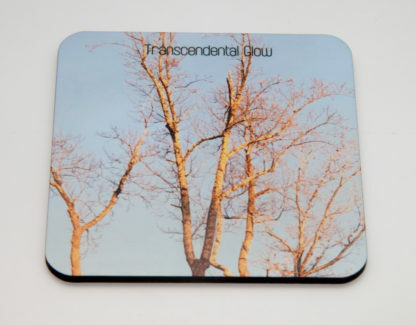 Transcendental Glow Mug and Coaster Set is a perfect gift for a friend or someone special’s birthday! It comes with an 11 oz dishwasher and microwave safe mug with an image of the glowing trees in the evening sunset. 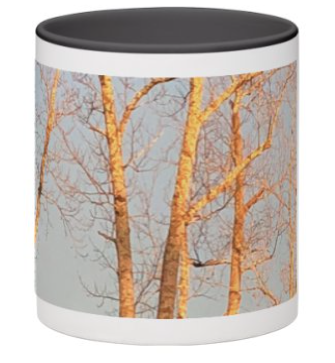 This beautiful image is printed on 3/4 of the cup of the mug as well as on the coaster. 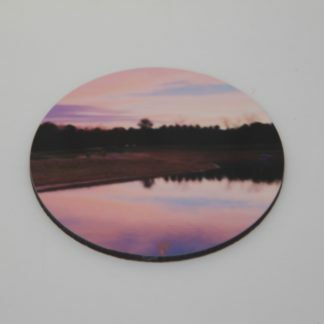 The coaster measures 3.75″x 3.75″ and is printed with high gloss finish and cork backing and can be easily wiped clean. 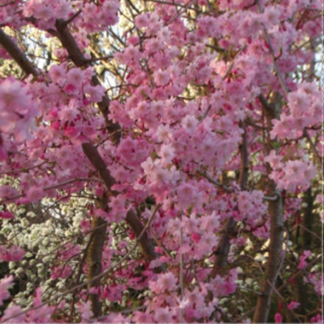 The natural beauty of trees in the evening twilight will be a great view to look at while enjoying a cup of hot coffee or tea and having an interesting conversation at home or work. 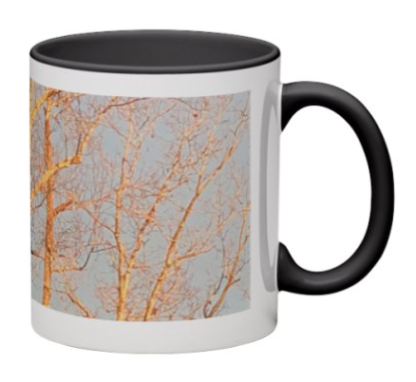 The beautiful image gives one a moment of calm and peace while taking that much needed coffee and tree break! 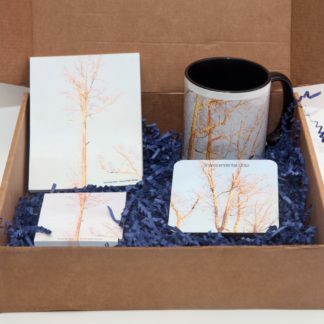 This set has no phrase printed for the viewer to enjoy the beauty of the trees in totality! However the phrase “Transcendental Glow ” can be printed at no cost. 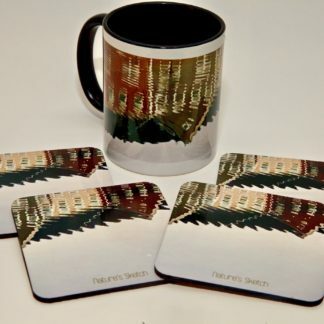 The phrase is displayed on the bottom right hand corner of the image on the mug, and is printed on the top of the coaster as shown in the additional product image. 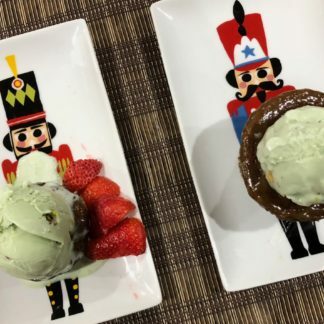 If you would like to retain the phrase in the mug and coaster please indicate so in the customization. 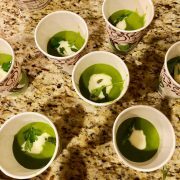 Can be gift wrapped at an extra cost for local pick ups. Check this box if you would like to add the Phrase Transcendental Glow on the top in the coaster and on the bottom right hand of the image on the mug at no extra cost. 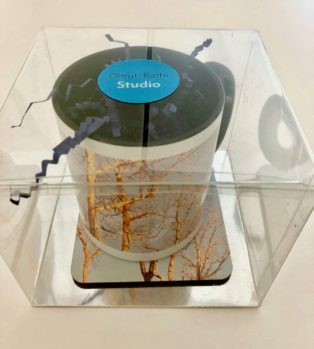 Transcendental Glow Mug and Coaster Gift set is a great combination for a gift for someone’s birthday! Transcendental Glow Mug with a matching coaster is a perfect gift for someone to enjoy it at home or work. The blue and yellow hues of winter glow on bare strong and graceful limbs. is a great beauty to visualize while sipping your favorite kind of hot drink. 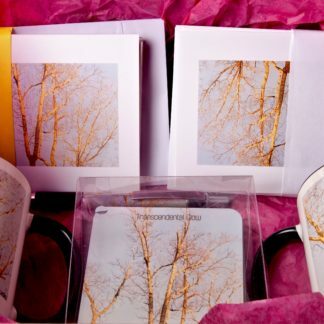 The mug is an 11oz microwave and dishwasher safe and comes with the picture of trees covering 3/4 of the mug in a wraparound style. 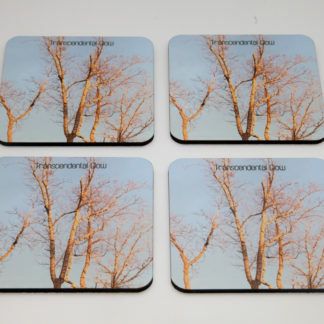 The matching coaster is a printed on highly durable gloss finish and comes with a cork backing for ease of use. 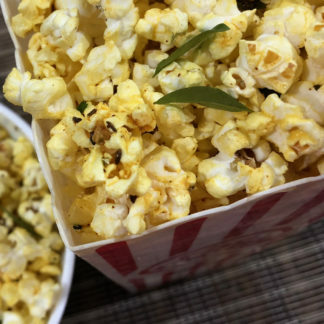 The coaster can be easily wiped clean and measures 3.75’x 3.75″. 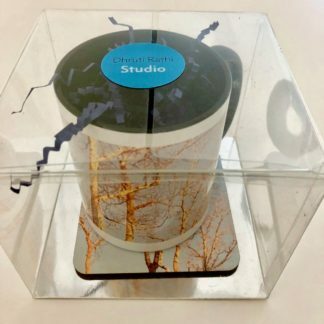 The set of coaster and mug image is gift wrapped in a transparent plastic box, with silver insert for a festive look and comes with a nice studio table and decorations. Gift wrapping is available at an extra cost for local pick up. 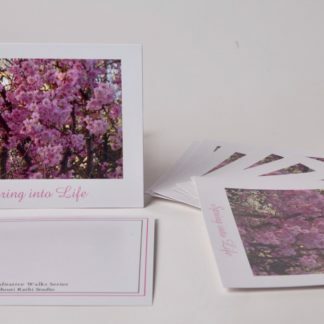 Give this gift to someone special who will enjoy the evergreen image of beauty from Nature!